Healthcare.gov was a disaster. The site delivering former U.S. president Barack Obama’s signature healthcare plan failed catastrophically (paywall) when it launched in 2013. To fix it, a team of developers and designers, pulled largely from Silicon Valley, landed in Washington DC. Their rescue efforts gave rise to a team of techies who later formed the core of what became the United States Digital Service (USDS), a “startup” under the White House dedicated to redesigning better government technology. Last week, that legacy led to the launch of a new website for the Department of Veterans Affairs. Instead of crashing, VA.gov appears to be delivering on its promise. It’s the first major public redesign of a US government website that delivers public services since healthcare.gov—and it’s a preview of things to come. The new design prioritizes just the top 20 tasks needed by 80% of site’s 10 million monthly users. For the first time, veterans can now change their contact information in one place, rather than update multiple profiles across the department, and create a personalized dashboard to view the status of their services and claims, from prescription refills to appeals. That may sound like old hat for the public, but for the US government, it’s transformative, said Jennifer Pahlka, founder of Code for America and a USDS veteran. The VA.gov overhaul, years in the making, may be a turning point for the federal government to adopt a Silicon Valley–style design philosophy for delivering government services. The old VA website was a labyrinth of legalese spread across hundreds of pages. Users applying for healthcare, for example, could only do so if they had precisely the right versions of Adobe Acrobat and Internet Explorer: 70% of visitors got an error message instead. The USDS started building Vets.gov in 2014 as an alternative to deliver housing, health, and administrative services in a single, simplified site. Two million people used it, and healthcare applications online soared from 8% to 50% by 2017. 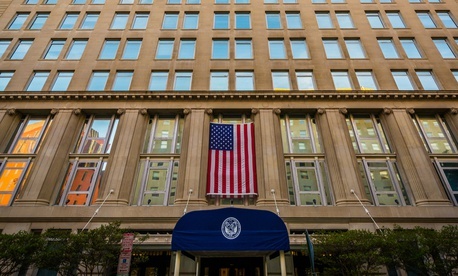 The USDS is expanding despite early reports that the Trump Administration planned to slash its staff, and mothball the unit. After a hiring freeze, the unit has increased staffing, put Matt Cutts, a former Google engineer, in charge, and expanded its footprint in the federal government. In its report to Congress last year, the USDS said it had 200 individuals completing tours of service, working on everything from the defense department to the Small Business Administration. Next on the menu for the USDS? Healthcare again, but this time it’s helping doctors work with the Centers for Medicare & Medicaid Services.